Beards need love too. And cheeks, and chins. 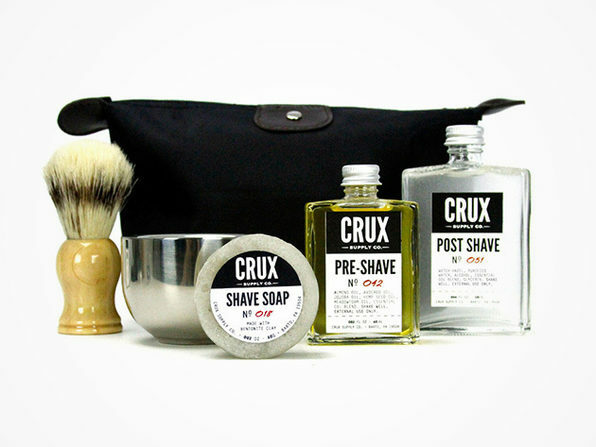 Treat them right with this classic shaving kit that has everything you’ll need to keep your face looking clean - with or without hair. The all-natural tonics and soaps will lather your skin to stay soft and your razor to stay smooth. And the vintage brush and bowl will make your bathroom shelf look just as handsome. Bowl dimensions: 2" x 2.8"